The Southern Illinois University Edwardsville Science and Engineering Research Challenge (SERC) is the recipient of a $20,000 donation from Monsanto Fund. The regional competition has been hosted on the SIUE campus since 1984. It provides local 5-12th graders an opportunity to showcase their skills and demonstrate enthusiasm in the areas of science, technology, engineering and math (STEM). The annual event is open to nearly 60,000 young students in the Southwest Illinois counties of Bond, Calhoun, Clinton, Jersey, Macoupin, Madison, Monroe, Montgomery, St. Clair and Washington. Students compete in the areas of applied math and physics, biological sciences, chemistry, engineering, earth sciences and consumer sciences. “Expertise in STEM is central to meeting many of the global challenges society faces today. The Monsanto Fund is honored to work with SIUE in our home community of St. Louis to cultivate student interest in science and engineering careers,” said Michelle Insco, Monsanto Fund Program Officer. For more information on SERC, click here. 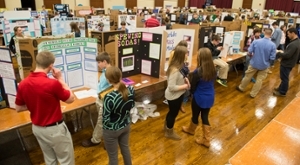 Photo: 2015 Science and Engineering Research Challenge.